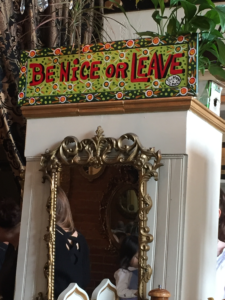 I only had to ponder the question to join my husband for a quick day and a half turnaround trip to Portland, Oregon for a moment; the answer was an easy yes! 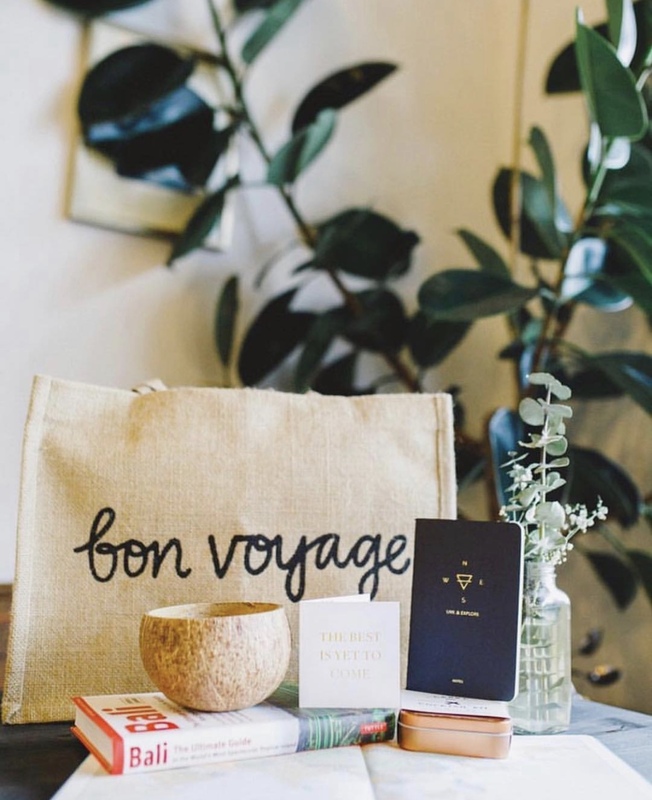 I have yet to visit this city, and my nagging wanderlust is itching to go! The nonstop flight from Southern California takes less than two hours into Portland International Airport. 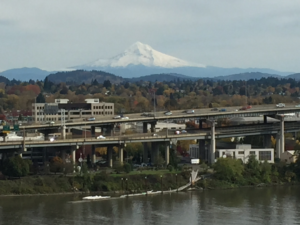 Portland is wired for tourists, providing access at the airport to its light rail, allowing for an easy and inexpensive way to get to the heart of downtown. The rail’s Red Line stops a few blocks from the Downtown Marriott Waterfront; our hotel for the night. 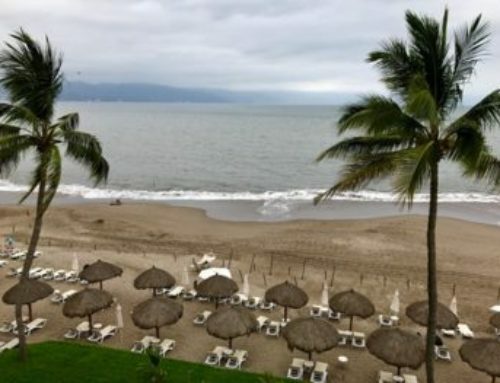 The hotel is perfectly positioned along the Columbia River, and nearby to the center of the business and city center. 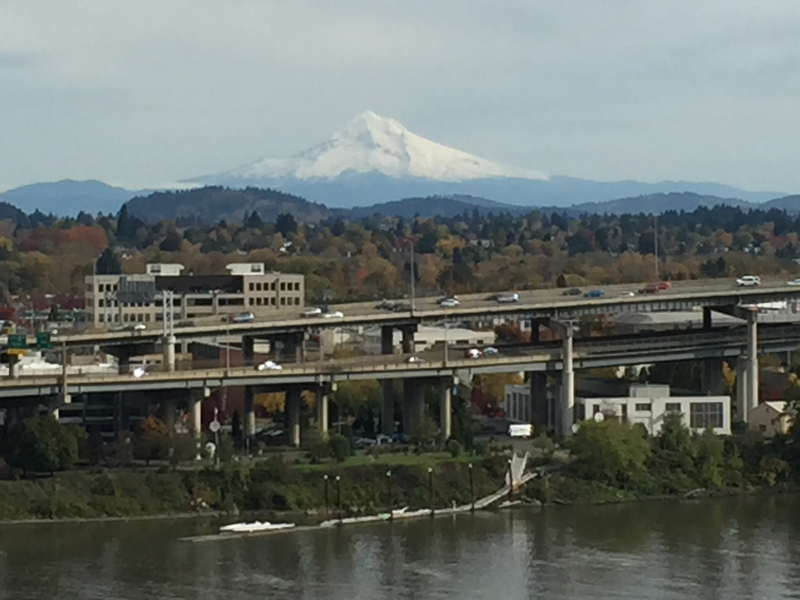 Our tenth floor hotel room overlooks the river and has a perfectly framed view of the majestic Mount Hood. After dropping our bags in the room, we head by foot into the city. 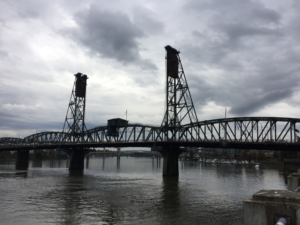 This is a walking town for sure, with a lengthy riverfront walkway leading to several of the neighborhood/districts in Portland. Walking through the treelined streets, our route passed small unique boutiques and independently-owned cafes, and each city block seemingly has its own personality. Several indy-style hotels, along with a few major brands, are found dotted along the streets in the heart of the city. Downtown Portland is charming, with brick-lined sidewalks and streets and beautiful historic buildings in various stages of renovation. It is clear the city planners are choosing to maintain a historical commitment with the architecture of the many renovations going on downtown. The first order of the day is food! I have found good luck when visiting a city for the first time to simply Google, “Foodie (whatever city name) Restaurants” which seems to net several interesting options. “Foodie Portland Restaurants” didn’t disappoint! I appreciate the honest feedback and reviews I find on the blogs that surface with this type of search. 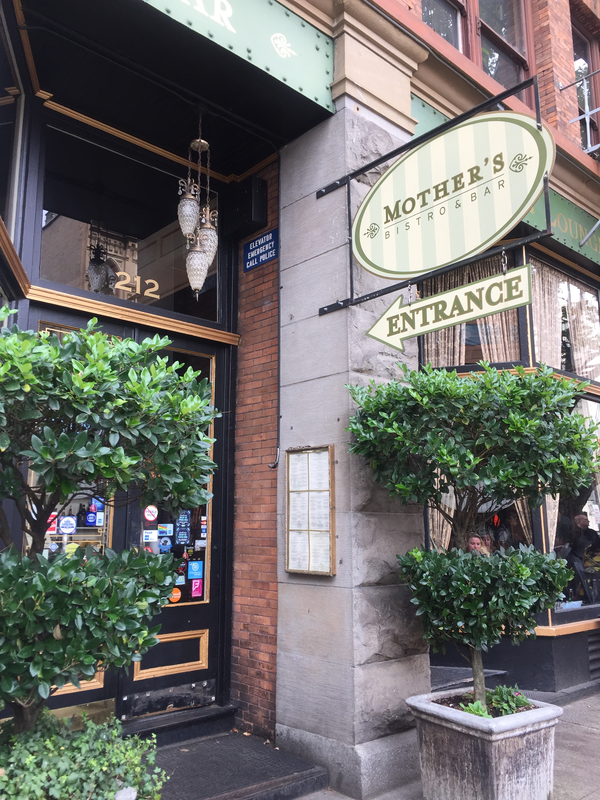 Wanting to eat in the heart of the downtown district, we decide on Mother’s Bistro and Bar at 212 SW Stark Street. Although it was past the lunch hour, there is still a bit of a wait, which signals we picked the right spot! 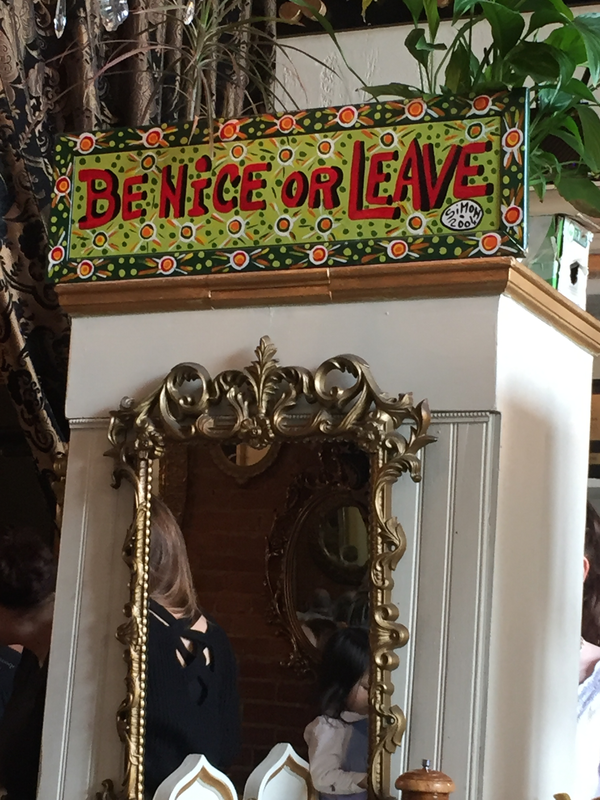 I immediately noticed a wall hanging in the waiting area bolding confessing, “Be Nice or Leave,” reminding me of what my mom used to say. Of course, this makes me feel right at home! 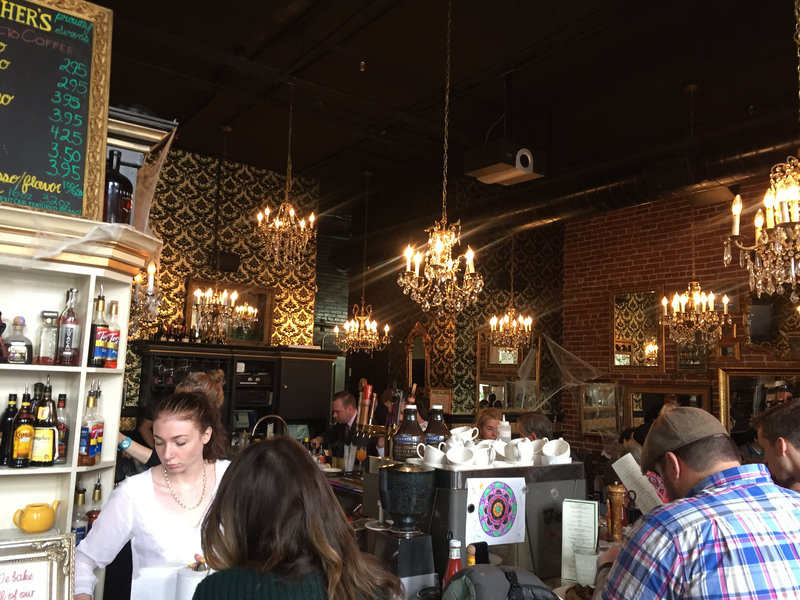 I enjoyed the short wait, as it allowed time to take in the restaurant’s eclectic design and items hanging from every inch of wall space. The restaurant occupies several large dining areas, each decorated with numerous beautiful bright crystal chandeliers. The menu includes a blurb on the origin of the restaurant dating back to 2000, when owner Lisa Schroder first decided to open and provide the type of comfort food she loves to cook herself. 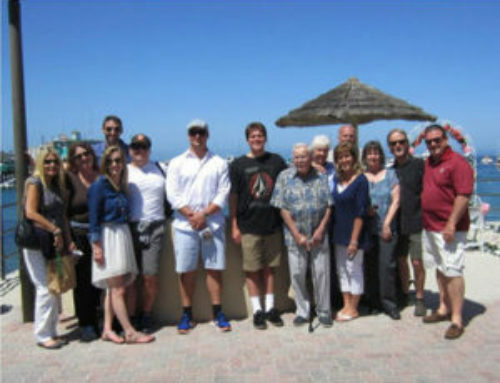 The menu is eclectic, and in the words of the Owner, “What you will find at the restaurant is “Mother’s Food – comfort food, traditional home-cooked dishes, made with love.” The restaurant has won numerous awards, and has garnered recognition both locally and nationwide. 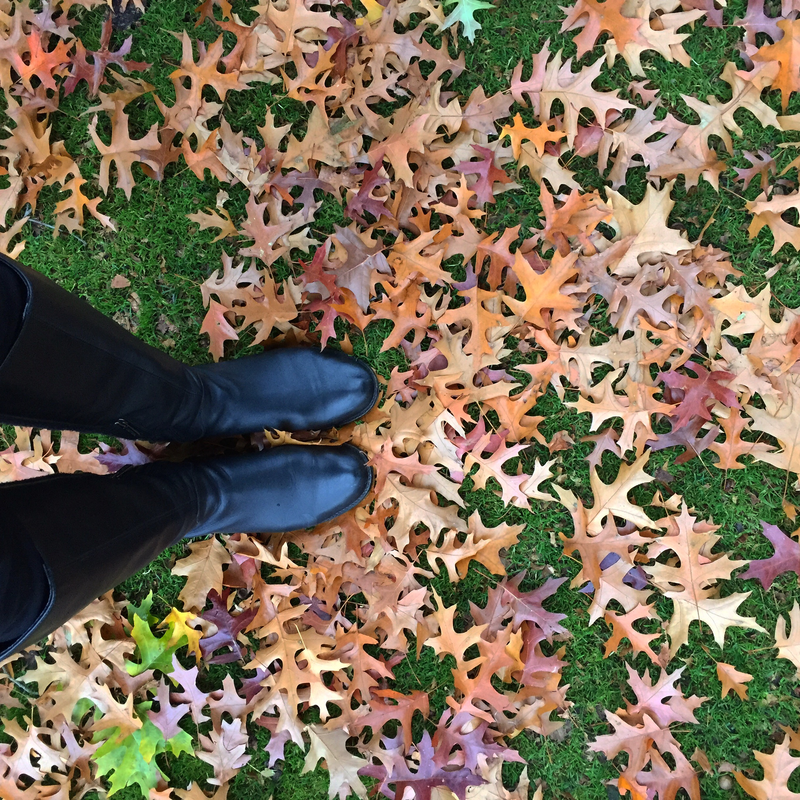 We are seated at a corner table, with floor to ceiling windows that allows a view of the busy sidewalk outside, where rainbow colored leaves are picked up and tossed around by the slight wind. The staff offers an environment of fun, casual and familiarity, and I feel like I am talking to a sibling, asking what Mom is making in the kitchen. After the meal, we feel dually fueled to start checking off the “to see” items on our list. 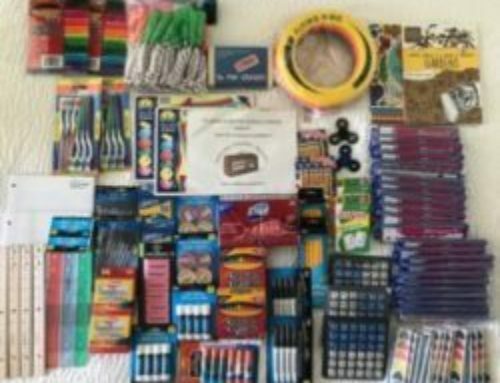 Given we have very limited time, we know hustling will be in order. 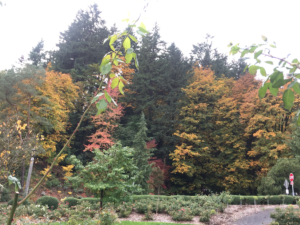 After securing an Uber, we head to the Portland International Rose Test Garden. Even though our visit is towards the end of fall, we are still treated to a kaleidoscope of colors as we travel to the outskirts of downtown. 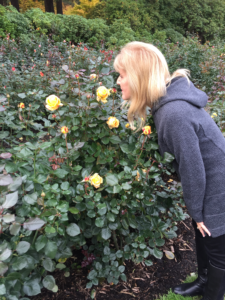 The garden is the oldest official continuously operated public rose test garden in the United States and features more than 10,000 roses of over 500 varieties. The first roses were planted in 1918, with more added throughout time. 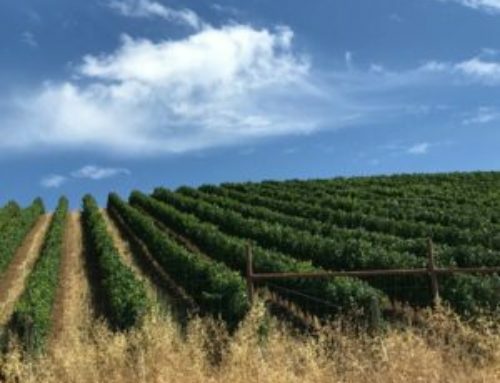 The garden is one of only 24 official testing sites for rose growers in the world. It’s not surprising that this garden, located in Washington Park, is generally on the list of things to see by tourists visiting Portland. 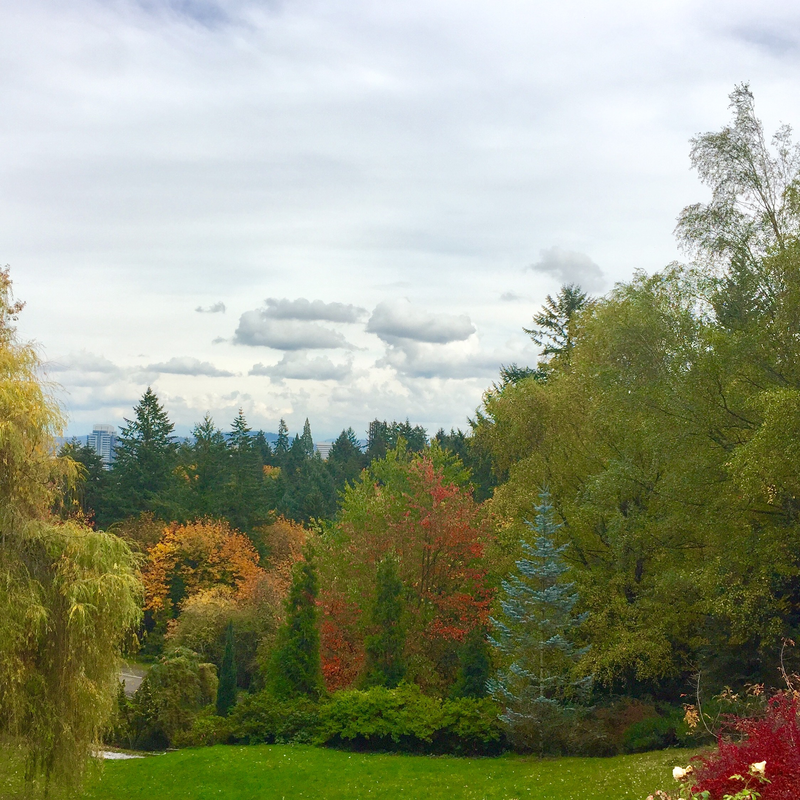 There is a spot in the garden where you can catch an expansive view of downtown Portland, and on this semi-clear day, the view and colors are captivating. 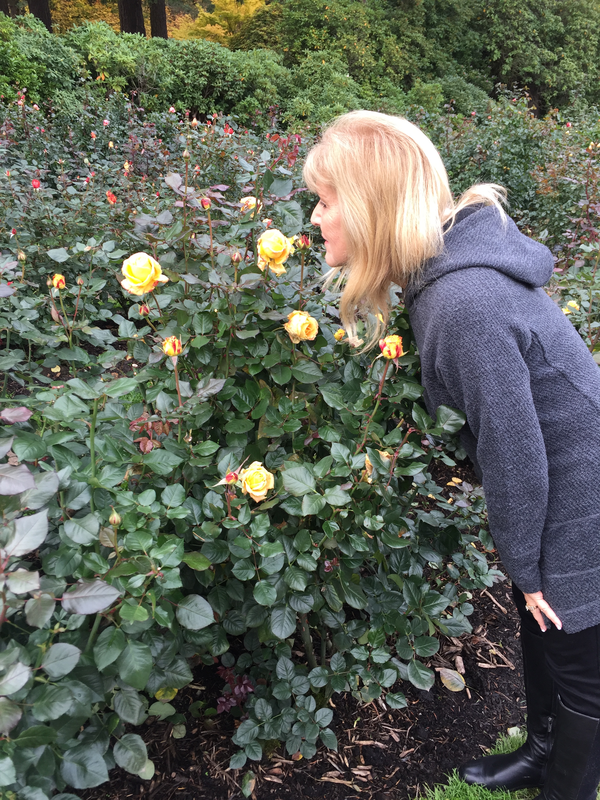 According to the visitor center, the best rose-viewing months are May through September, but there are still hundreds of beautiful and fragrant roses to be seen even though it is mid-November. The garden is open daily and admission is free. If you go, make sure to pick up information in the visitor’s center about the test process at the garden…it is pretty interesting! This garden deserves more time than we have, yet it was enough to whet our appetite to return one day when we have more time. Grabbing another Uber back to the city, we decide to see what is going on with Portland’s food trucks. According to Food Carts Portland, there are over 500 food cards spread out in “pods” throughout the city. 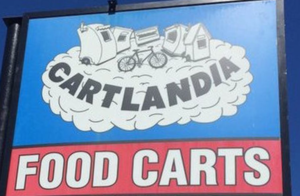 Our driver suggests Cartlandia, 8145 SE 82nd Avenue, to take a quick look. 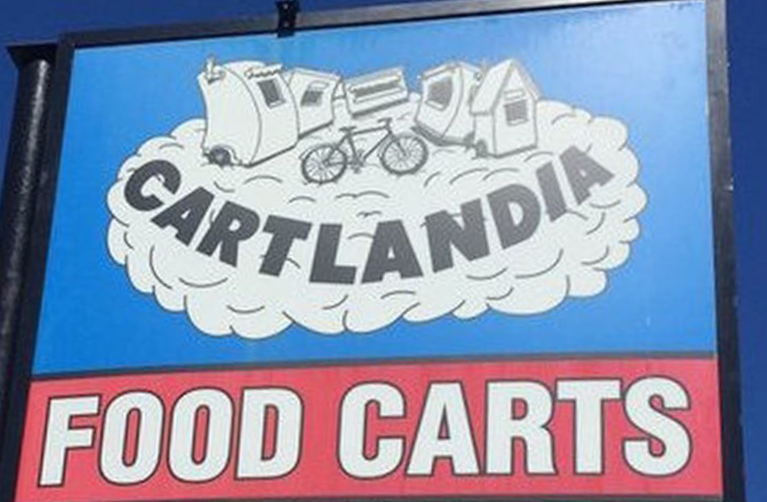 Cartlandia is known as a “food cart super pod” taking up a what seems like a whole city block. This pod has over twenty food carts and the biggest issue is what culinary nationality you will want to try. There is even a Voodo Donuts cart, where you can get their famous maple-bacon donut and save you the long lines at their popular and crowded downtown storefront location. Although we did not eat at any of the carts, Cartlandia is well worth the time to visit, as the funky food cart scene is hot in Portland, and not to be missed. I will return one day with an empty stomach! Cartlandia is open every day and there is a parking area adjacent to the carts. 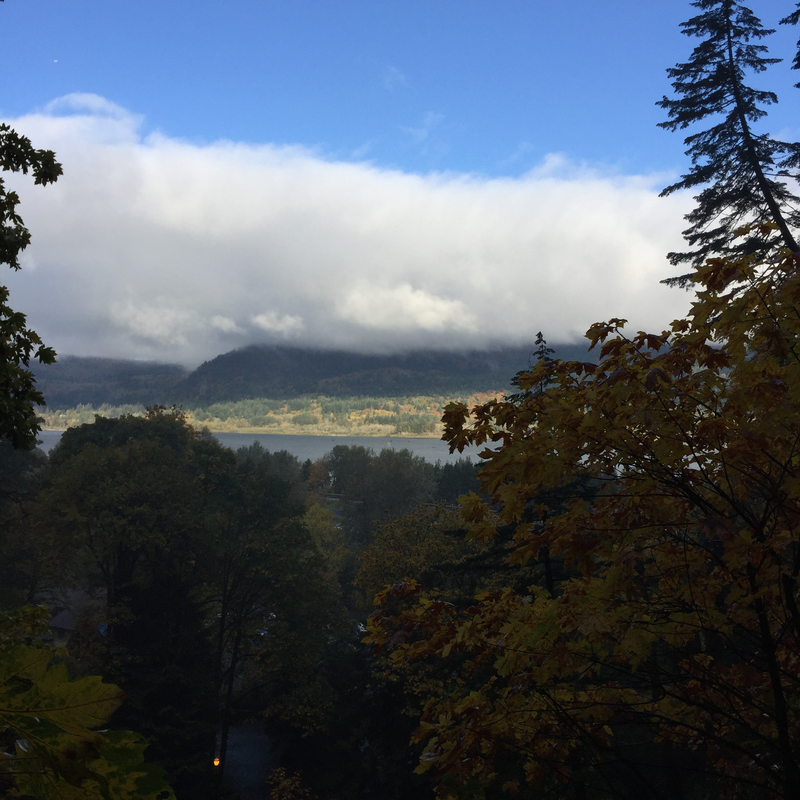 We make our way back to the waterfront and walked a few miles along the peaceful Columbia River to the hotel, passing several parks, docks, ducks, and people taking in the views. Dinnertime was quickly approaching, which means another search for a Foodie Portland Restaurant, again netting several choices. We decide on the Nobel Rot, located at 1111 East Burnside, across the Columbia River. 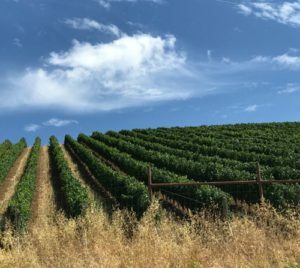 The reviews, in addition to the fantastic name, state Wine, Booze, Food, and View, and that is enough for our vote. Uber #3 of the day takes us to the restaurant, located in a non-descript building. Our first thought is we are being dropped off in the wrong location, but we spot a small sidewalk sign indicating an elevator entrance leading to the restaurant. The fourth floor houses the restaurant and lobby, both offering a panoramic full view of the river and Portland skyline. 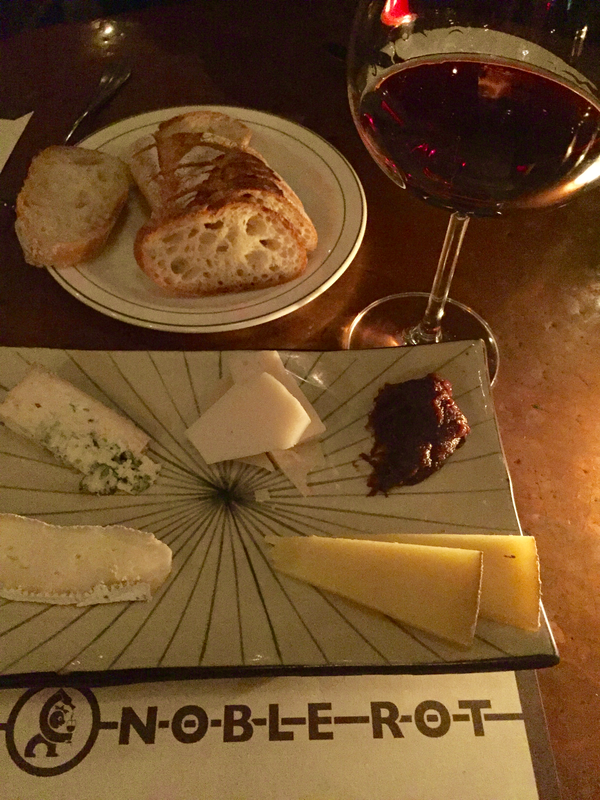 An expansive bar holds numerous bottles of wine, which we soon find out is the “virtual wine list,” and we notice most of the tables face the floor to ceiling windows. This is a small, loud, somewhat crowded (implied, popular), place with a great vibe. 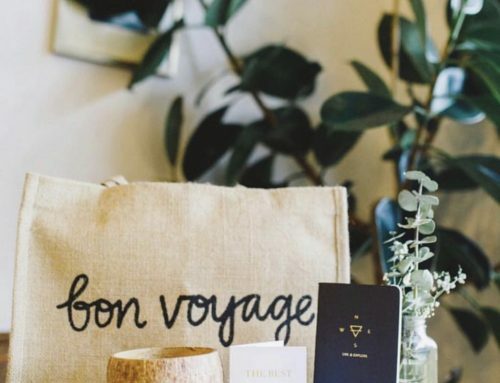 The limited, but sufficient menu, includes vegetables from the restaurant’s roof top garden. The next day starts early, as we only have about six hours of play time. 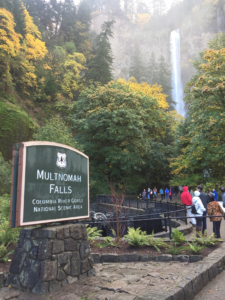 We decide to visit Multnomah Falls and quickly determine an Uber will not be the best choice to get to and from the hotel. Instead the concierge arranges pick up at a close by rental car agency, and off we head to the falls. From our hotel, the falls are less than 35 minutes on a view-filled highway. 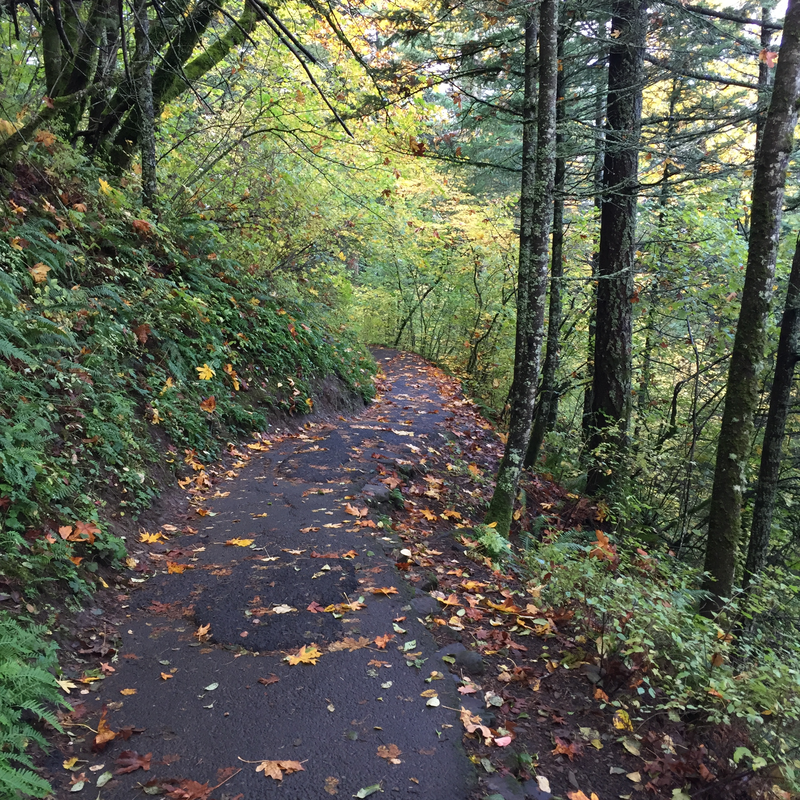 The ride follows the Columbia River Gorge and with every twist on the highway, there was more beauty to take in. Finding the falls is easy and there is plenty of parking across the street. 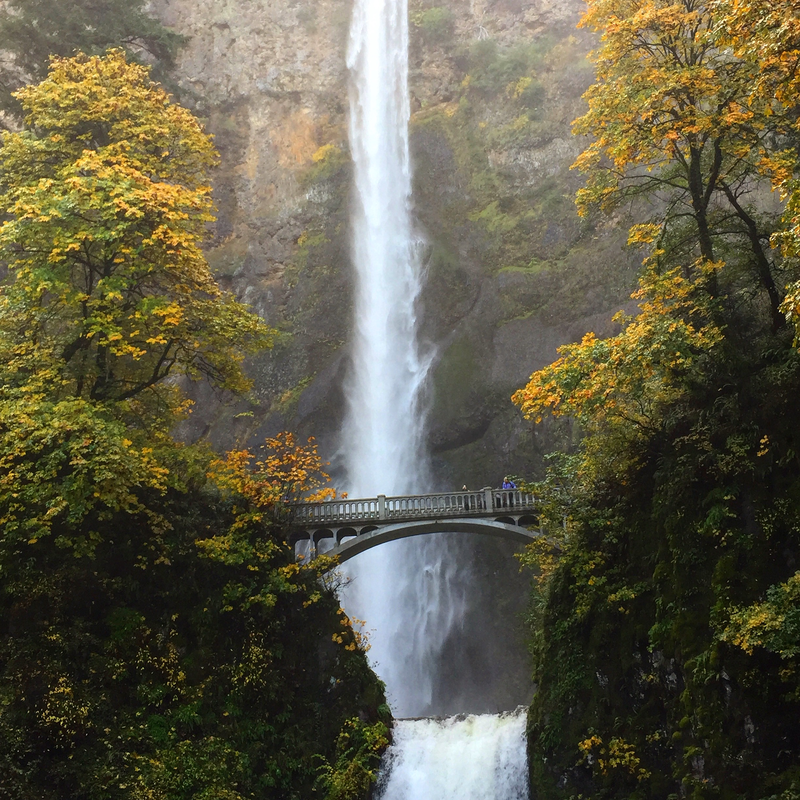 We arrive early, as Multnomah Falls is the number one visited natural attraction in Oregon, and we want to take in the views before the crowds arrive. From the parking lot, the towering 611 foot tall falls can be seen, and as we approach the walkway to the falls, the view quickly takes our breath away. To say this is one of the most beautiful falls I have ever seen, is not an understatement. 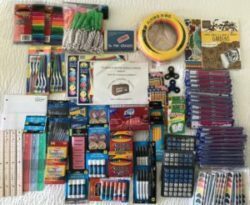 Awesome is word that comes to mind. The popular Benson Bridge, spanning a massive gorge at the falls, serves as an amazing “Kodak Moment.” It is worth the ten minute walk to stand on the bridge and feel the cold mist coming off the powerful falls. The property also houses a lodge, gift shop, and visitors center. We are offered a hiking map for a steep, mile long trail, winding around the back side of the falls, and decide to go for it. 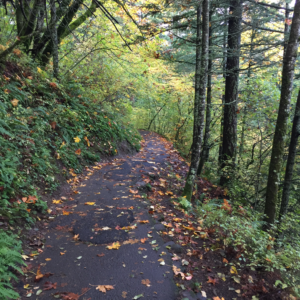 Due to time and crowds on the trail, we do not make it to the top, but are still able to experience the gorgeous leaf-lined trail and views of the falls from various heights as we climb the trail. From many vantage points, there are also views of the gorgeous Columbia Gorge and river below. Wishing we had more time, but resigned to the fact we do not, we head back to downtown Portland, easily return the car and get back on the Red Line toward the airport. The next morning waking up in my own bed, I wonder if I had been dreaming about my visit to Portland. It was such a quick trip, I wasn’t really sure. Grabbing my phone, I open my pictures and confirm what I had hoped be true, I had been in Portland! I get the opportunity to experience a lot of these whirlwind trips and the short visits wet my appetite to return again to explore in more detail. 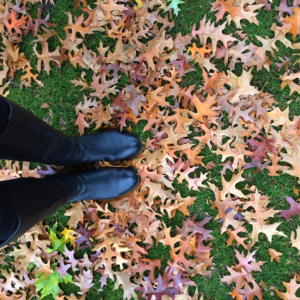 Portland, I will be back soon!